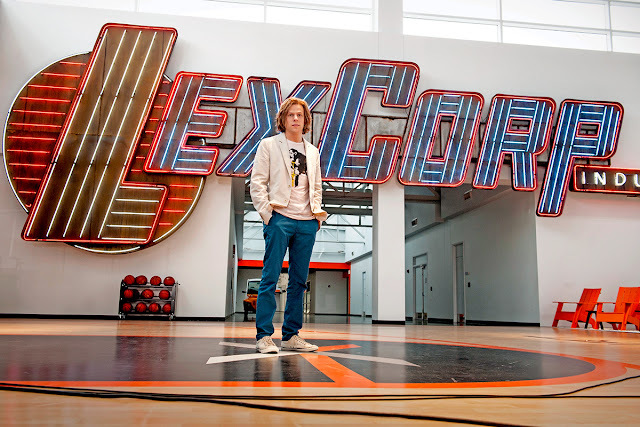 The Batman v Superman: Dawn of Justice viral campaign is just getting off the ground, with Jesse Eisenberg’s Lex Luthor and LexCorp being front and centre. First, it was a Fortune interview with the evil industrialist, and now New York Comic-Con has played host to a new LexCorp, and the launch of a viral site that teases something for Winter 2015. First of all, it all looks a bit Umbrella Corp for Resident Evil, and the sleekness and polish doesn’t really gel with the photos we’ve seen of the corporation’s Google-esque headquarters (complete with awesome neon sign). And I think it’s safe to say Lex/OS will play a part in Lex’s masterplan when the movie hits on March 26th of next year.